The wedding vow of a part of your family or friends is already several years ago. Much has been experienced and mastered together in the numerous months. And now the five-year anniversary and therefore the wood wedding is getting closer. But which present should you buy to the wood wedding? The traditional answer is obvious: a wooden present! But which one? We help you to find the right present for your loved ones. What is the wood wedding? The wood wedding is, like the Silver and Golden Wedding, a jubilee day of the marriage. It is celebrated in the fifth anniversary of the wedding. It’s easy to explain why this day is associated with wood: wood, a natural and robust material, has always stood for stability and happiness. 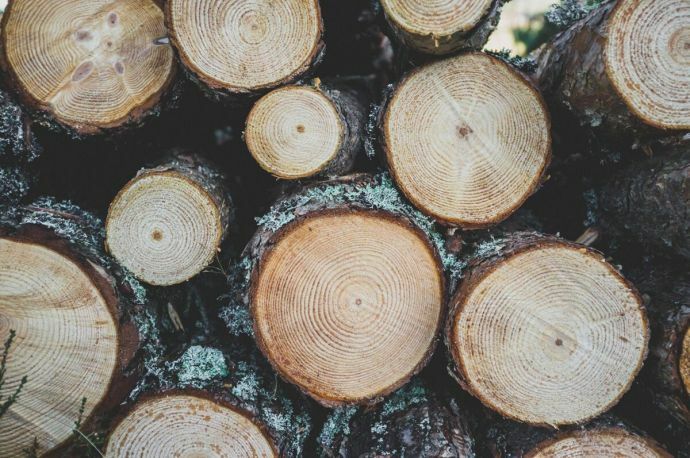 After all, it’s no coincidence that there is a rite of tapping on wood. After five years of marriage, you have already experienced a lot and you continued to grow together - similar to trees, to which we owe the wood and therefore the term. Even the tradition intends to decorate the house in the sign of the wood. For example, a wooden wreath is hung on the front door and wood shavings are distributed in various rooms of the house or in the garden. If it should be something special and individual that you want to reveal to the whole world, a stylish accessory is never a bad choice. 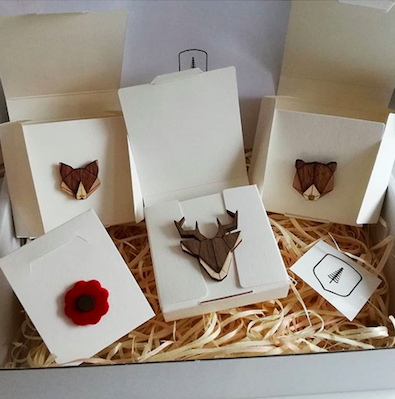 So what is about a charming woodlander in the shape of a pretty brooch or a modern pendant for every occasion? For couples, we have also assembled unique sets, such as a proud stag and a graceful deer. Whether as a brooch or necklace: These great companions follow the wearer every day at every turn. Despite their small appearance, they give the wearer self-confidence and individuality in all your ways. Or do you prefer to give something that combines classic with wood and that can be used day in, day out or at work? 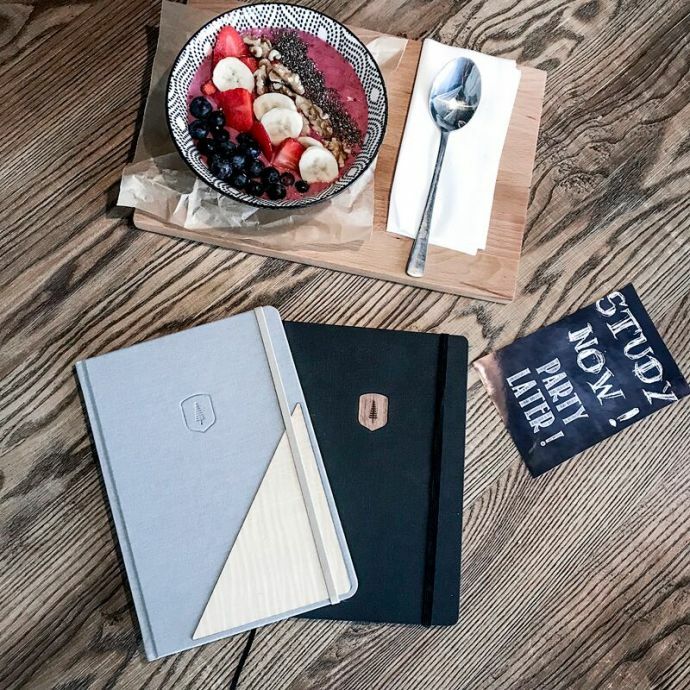 We've just recently developed a new product to bring out the creativity of its owner: our wooden-lined notebooks. They contain 128 pages of eco paper and can be used for all kinds of ideas, thoughts and memories. They capture unique moments with the partner forever. So it’s also possible to store visual memories in the form of photos in the storage bag and always keep it to oneself. If you prefer to give something that has a personal touch, what do you think about a wooden bow tie that you can proudly wear for all sorts of occasions and celebrations? 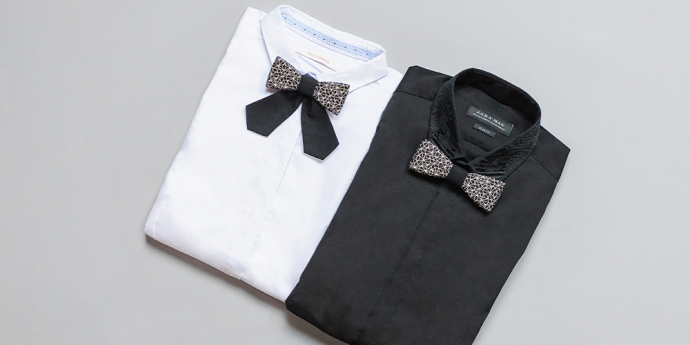 With the configurator you can individually assemble a bow tie to the taste of the couple. It’s also possible to engrave engravings on most of our products, such as the date of the wedding. For this special occasion, we also have compile ready-made sets, such as Cassio and Cassiopeia. However, if the couple likes it extravagantly, then you can also draw on our jewelry collection for ladies and for any occasion. 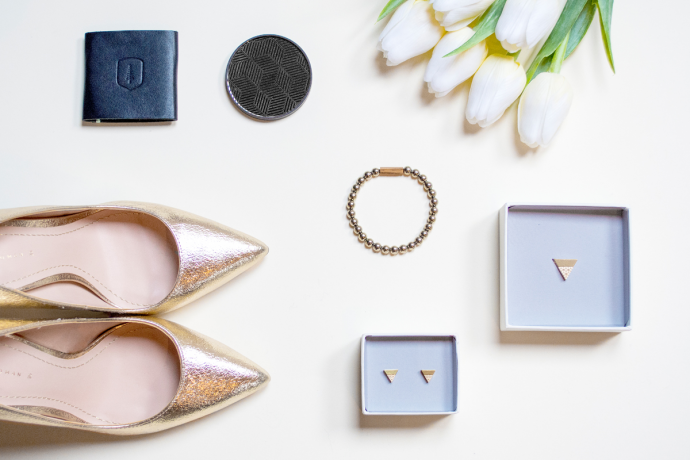 You can find everything, from earrings with precious metals to stylish bracelets. Of course, all our products are made with high quality wooden elements, which are a real eye-catcher at every event. And if it should be something for going out or for the business, many women would certainly be happy about a stylish pocket mirror, or a spacious bag. 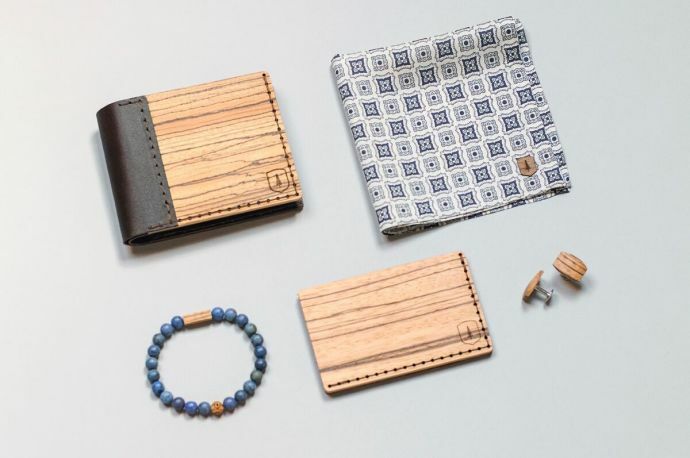 For the man, we offer matching extraordinary wallets, a distinctive pocket squares, or a noble card holders. The possibilities are unlimited and also leave plenty of room for alternative and creative ideas. If these tips are not enough for you and you need more suggestions, then have a look at our online shop.